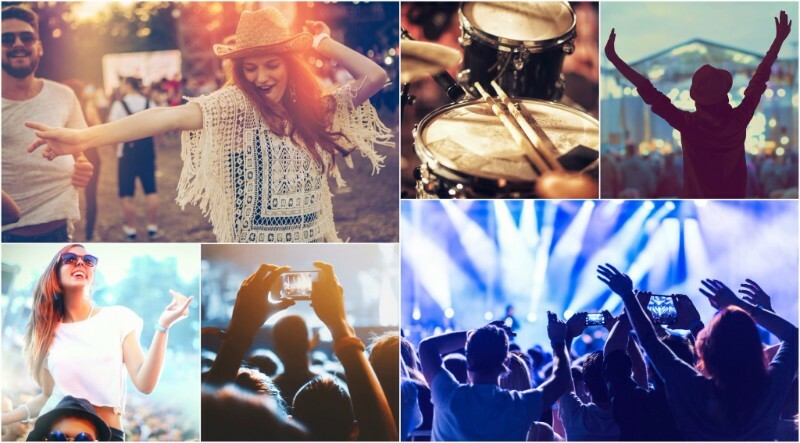 There’s no better place in Europe than France to enjoy a festival or two so why not take the train direct to the event this summer with Voyages-sncf.com? There’s even an opportunity to win free entry to three festivals via Voyages-sncf.com’s Facebook page. Beauregard Festival, 7th – 9th July 2017 – Now one of France’s biggest rock, pop and indie festivals, the Beauregard Festival is set in the beautiful grounds of the historic Beauregard Château built in 1864 and surrounded by dense verdant forests. The festival debuted in 2009 and has always attracted top international headliners and this year’s event is no different. Expect an eclectic mix of a lineup with big names such as Iggy Pop, Placebo, Grandaddy, Airbourne, House of Pain and Echo and the Bunnymen. There are a range of passes available from one to three day with accommodation options. Return standard class travel from London to Caen starts from £86 per person. What else to see in Caen? 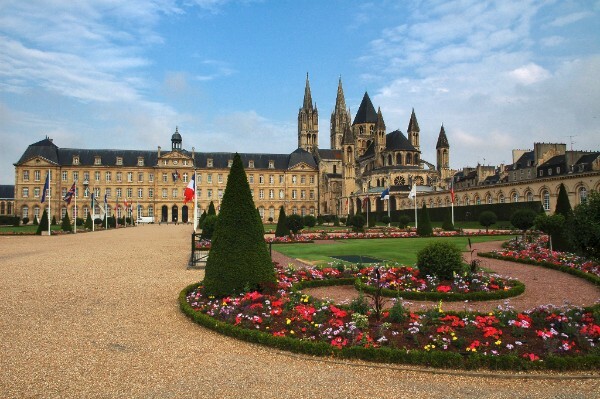 Caen is a port-city and the capital of Calvados in the Normandy region. The area is synonymous with the D-Day landings in WW2 when it suffered heavy damage so it’s possible to visit the beaches, the memorial cemeteries and the groundbreaking museum, Mémorial de Caen, dedicated to war and peace. Musilac Festival, 8th – 10th July 2017 – The Musilac Festival, now in its 16th year, is the biggest pop-rock event in the Rhône-Alpes region and is, as they say, the story of a lake, a mountain and thousands of people – a lakeside music festival with a mountain backdrop! Past acts have included The Cure, Muse, ZZ Top and this year, it’s no different. Expect Sting, Texas, Midnight Oil, Jamiroquai and Phoenix amongst copious others. There are various ticket options available with accommodation if required. Return standard class travel from London to Aix-Les-Bains starts at £102 per person. Make a diary note to visit Voyages-sncf.com’s Facebook page on 5th June for an opportunity to win a pair of one-day passes to the festival. What else can you do here? Aix-Les-Bains is a very attractive lakeside thermal spa town on Lake Bourget in the Savoie, Eastern France. So there’s water-sports (canoeing, water skiing etc), spa, cycling and skiing in the winter. Highlights include the Roman remains of the Campanus Arch and the Temple of Diana, the magnificent Château de la Roche du Roi and La Chambotte viewing point with a stunning 360 degree view over the lake, the alps and the region. Les Vielles Charrues, 13th – 16th July 2017 – Les Vielles Charrues is the largest music festival in France attracting more than 200,000 festival-goers every summer. Located in Carhaix in Western Brittany since 1995, it debuted in 1992 in the village of Landeleau Finistère. Passes are available for one, two, three and four days with an eclectic mix of acts from Deluxe to Celtic Social Club, Jean-Michel Jarre and MIA. Return standard class travel from London to Quimper starts from £111 per person. What else can you do here? Quimper, where the train comes in, is an attractive town and the capital of the Finistere region. There are half timbered buildings galore and the Cathedral of Saint-Corentin, the oldest and largest building of its type in Brittany dating from the 13th – 16th centuries. Plages Electroniques de Cannes, 3rd – 5th August 2017 – Les Plages Electronique de Cannes is based on the Cote d’Azur at the beach in Cannes, South of France. Now in its 11th year, it’s an ode to electronic music attracting top tier artists and over 60,000 music aficionados from across Europe and beyond for one of Europe’s biggest beach parties. 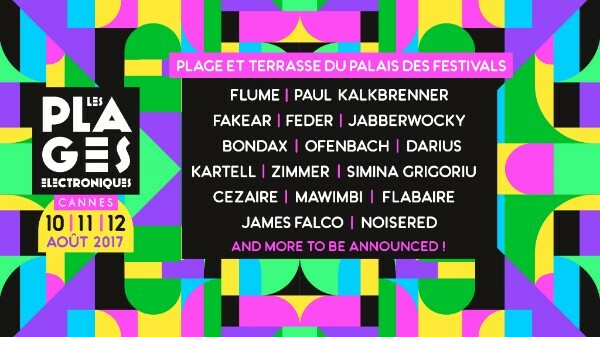 The line up this year includes Flume, Paul Kalkbrenner, Feder, Kungs and Fakear among others. Return standard class travel from London to Nice starts from £121 per person. Visit Voyages-sncf.com’s Facebook page on 19th June for the chance to win a pair of three-day tickets to the festival. What else can you do here? This being the South of France, one should promenade on La Croisette and do a little retail therapy as Cannes is a world-wide shopping destination and this boulevard has a string of designer boutiques. Visit the Fourville Market for a bite to eat on the run or push the boat out and dine in style at the Martinez’s Palme D’Or restaurant. Rock en Seine Festival, 25th – 27th August 2017 – the Rock en Seine Festival debuted in 2003 and is located just outside Paris at the Domain National de Saint Cloud, the Chateau of Saint Cloud’s park west of Paris in gardens designed by none other than Le Nôtre. There’s easy access from central Paris via tram, bus or metro for this festival that showcases both the big names and new raw talent. This year’s line up includes PJ Harvey, Franz Ferdinand, The Jesus and Mary Chain, Cypress Hill and Band of Horses among others. Return standard class travel from London to Paris starts from £58 per person. For a chance to win tickets to the Rock en Seine Festival, visit Voyages-sncf.com’s Facebook page on 26th June 2017. What else can you do here? Well, this is Paris so the possibilities are limitless – the Tour Eiffel, The Louvre, the Place de la Concorde, the Arc de Triomphe, the Left Bank, Galeries Lafayette, Champs Elysées, Montmartre, Musée d’Orsay, etc, etc.